determining a value by disproving a series of approximations. This method foreshadowed the concept of a limit. as its input approaches a given value. and to determine their differentials and integrals. are inverses of each other. The derivative of velocity is acceleration. The integral of acceleration is the velocity. which is the same as the rate of change. the derivative is acceleration at an instant. between the points approaches zero. 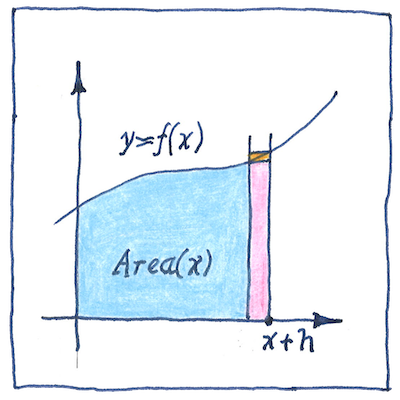 is the area under the curve. the integral is the distance covered. of the rectangles approaches zero. and it’s generally not infinity. but you can measure their span with a ruler. but there’s a limit to optimism. There’s a limit to how much I can afford. There’s a limit to how much I can stand. but there’s a limit to it. Even limits have limits. but there ought to be a limit to stupidity. The work of many mathematicians led to the work of James Gregory and Isaac Barrow. A fuller history could name Eudoxus, Liu Hui, Archimedes, Zu Chongzhi, Alhazen, Pierre de Fermat, Bonaventura Cavalieri, Evangelista Torricelli, and John Wallis. Then there were Isaac Newton and Gottfried Wilhelm Leibniz, who invented calculus as a mathematics of motion and change.